RestorationMaster greatly appreciates your business in choosing us to provide emergency disaster restoration services for your home or building. We understand that you are going through hard times, which is why we are committed to staying by your side throughout the entire restoration process. Our technicians guarantee your peace of mind at the end of the restoration process in order to restore your damaged property back to its original condition. 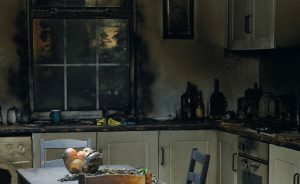 While this may be your first house or building fire, our fire damage repair specialists have years of experience dealing with major losses. Our expertise on the matter has allowed us to use advanced scientific strategies, techniques, and products when it comes to damage restoration. However, we recommend that you do not attempt any of the cleaning process yourself without notifying your fire restoration specialist. Any improper cleaning or restoration procedures could actually worsen the damage instead of restoring it. In addition, any direct contact with soot can cause permanent etching and tarnishing of the affected material. 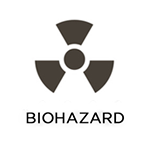 As there are complex chemical reactions from corrosive byproducts and hidden damages, it is best to allow the professionals do the cleaning in these situations. They will use specific products, equipment, and expert methods in order to properly restore any damage caused by soot and smoke. As returning your property to its original condition is our highest priority, we will work with you until you are satisfied with the results of our services. In the occurrence of a house fire, the smoke is derived from the heat of the flames. While it is not important what caused the fire, the smoke may penetrate any building materials. It will also mix with moisture in the air, therefore, forming corrosive byproducts that will cause damage in addition to the fire. Even after the fire is extinguished, the damage may linger as floating soot will settle into any porous materials and contents. As the fire burns, so does the smoke; this is called etching, chemical burning, or pitting. However, immediate action is critical in restoring your property to its original condition. Finally, the more time allowed for smoke and soot to settle, the greater the damage. However, RestorationMaster specializes in fire damage restoration as we are proud to be a licensed and insured provider of emergency disaster services. Our restoration specialists have completed hours of training in using advanced equipment, corrosion control, and fire mitigation methods. They also undergo frequent training to remain updated on all methods and equipment used to restore your peace of mind. 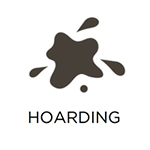 As our ultimate goal is to return your property to its original state, we work with effectiveness and efficiency. The process may require additional time depending on the current state of the damaged materials; however, we will work with you until the final results are achieved. 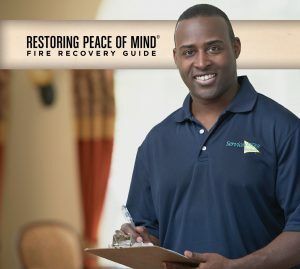 While each fire damage restoration project will vary depending on the degree of damage, we have remained as general as possible in this fire recovery guide. We hope that it may answer any of your questions throughout the process in addition to helping you understand our policies and procedures for the safety of both you and our technicians. As the property owner, we will provide clear communication and cooperation to both you and your insurance provider to ensure the satisfaction of all parties. As our technicians work to restore all damage to a home or building to their original conditions, please understand that some items will be unsalvageable. In these cases, the items will be more expensive to restore than replace. However, we will notify you and your insurance provider of each item that will need replacing while explaining the extent of our services. 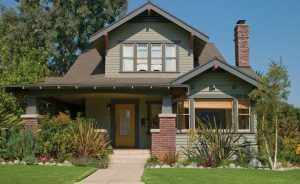 The guide provided below is a checklist of damage restoration services and equipment that may need to be inspected in order to properly return your home or building to its previous condition. 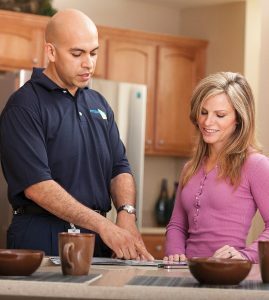 The technician will go over this list with you and determine which services you will require. In addition, each service includes an explanation to allow for better understanding of our procedures. 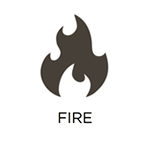 Listed below, you will see which type of fire and smoke damage your property has incurred as well as the scope of the damage. The inspection also includes a visual assessment with image documentation to determine the extent of the damage, allowing us to develop the most efficient plan for restoring your property to its original condition. To allow the process to run as smoothly and efficiently as possible, the location of the source of the fire must be preserved until your insurance provider has allowed the cleaning process to start. ✔Protein Fire. 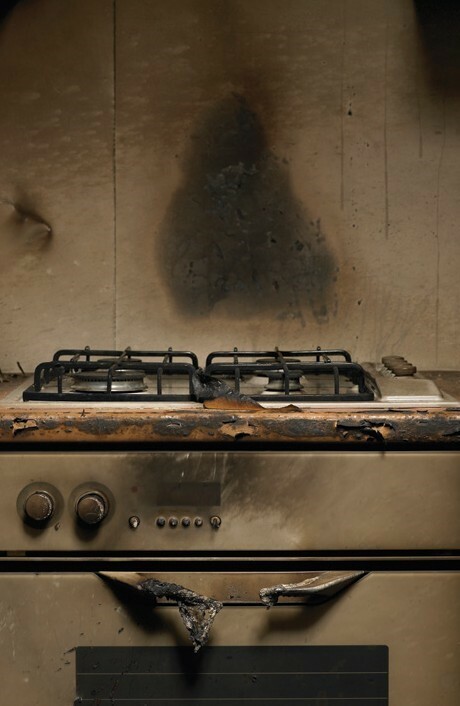 Any food left on the stove or in the oven was charred, causing a strong burnt food odor to linger in the home. The residue from the soot and smoke is then left to cause etching and tarnishing to your contents and building materials. ✔Complex Fire. Various natural and decomposable materials inside the home have been burned. Soot residue has settled into contents and the building structure; synthetic smoke odor is present; immediate smoke damage restoration is needed to restore contents and structure. ✔Natural Fire. Outside plants (flowers, trees, and bushes) have become charred from a forest fire; soot residue has penetrated the building from the outside; soot residue and odors are apparent. ✔Broken Furnace. Heating appliances including oil and electric furnaces have broken down and caused smoke to spread throughout the home. ✔ Use tarp to cover the damaged property to prevent additional damage. ✔Examine the furnace or air conditioning unit; replace all air filters, cover supply and return registers to avoid contamination of the smoke and soot odors into other parts of the home; deodorize and remove soot from all duct work. ✔Unplug or turn off all electrical power to prevent safety issues. 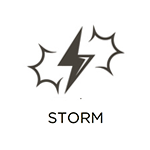 ✔Turn on the power only for the use of light and restoration equipment. ✔Clear debris from property for total restoration to allow for the safety of the technician and property owner. ✔Mitigate extra water left from the firehose; inspect floor, carpeting, and other building materials for excess moisture; begin used of drying and dehumidification equipment. ✔Soot and smoke residues may cause irreversible damage in a short amount of time. Removing soot and smoke residues as well as cleaning risky materials with a corrosion inhibitor will prevent these items from becoming damaged. 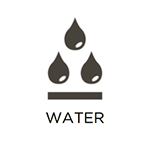 Items that may be at risk can include: stone, grout, marble, glass, fixtures, appliances, aluminum, etc. ✔Clean out refrigerators and freezers to avoid any odors; take food out of cabinets; throw away all open food containers. Note: for insurance purposes, keep a risk of all items thrown away. ✔Start the odor cleaning procedures, including air ventilation to remove any odors, apply deodorizers, and set up air filtration units, etc. ✔Deliver a few fire damaged clothing items to the dry cleaning to be used immediately as it may take some time to restore the rest of the clothes. Smoke residue will continue to linger after the fire has been extinguished. This is why the removal of dangerous odors from smoke and fire must be done immediately with the use of professional products, systems, and equipment. ✔ Air Scrubbers. Air scrubbers will use High-Efficiency Particulate Air (HEPA) ventilation to filter these odors from the air. This way, efficiency is maximized during the cleaning process in addition to clearing the air of smoke odors. NOTE: Please ensure that this equipment is not moved or turned off. ✔Thermal Fogging. This process will remove the odor, using deodorization equipment that clears the air of smoke; therefore, the relocation of pets, occupants, and plants in the home is temporarily required. ✔Ozone. Ozone is a chemical that produces oxygen from a portable ozone generator. Any living beings including pet, plants, and anyone else living in the home will need to be temporarily relocated. This green deodorizing procedure will clear odors and air particles using OdorKlenz air filters in normal air scrubbers. This product is also safe for people, pets, and plants. Restoration of laundry. Because fire-damaged clothing will require a special process of dry cleaning, this procedure will be done by a restoration dry cleaner. This will include inventory control as well as creating an inventory of clothing and textiles, bedding, window coverings, etc. Carpet and Furniture Restoration. This will include examination, pre-testing, professional deodorization and restoration, speed drying, and protection during the restoration process of building materials. This might also include stain protection. Structural Restoration. This process includes the cleaning of all building materials, in addition to cleaning, deodorizing, and polishing woodwork. Attics, Drawers, Cabinets, and Closets. 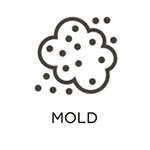 These areas will trap smoke odor as they will require complete cleaning, ventilation, and deodorization. Hard Surface Flood Cleaning. This process includes the inspection and restoration of marble, tile, stone, laminate, wood, and other flooring materials. The floors will then be protected during the structural restoration. Separate items. RestorationMaster will work with you and your insurance agent in deciding on which items to restore and replace. Our technicians used advanced equipment and products for cleaning various fire-damaged items including: upholstery, furniture, household belongings, and other items. ✔ Hand washing and drying. Contents are carefully hand-cleaned in addition to being taken care of to use drying procedures with water-sensitive items. ✔Ultrasonic Cleaning. Ultrasonic tanks are used to restore specific items. Other items that might be cleaned ultrasonically are blinds, collectibles, and other small contents. ✔Furniture and Upholstery Cleaning. In this case, it is necessary to use specialty equipment, chemicals, and professional technicians that are trained and certified in the restoration of furniture. Some belongings might require a professional restorer, including: electronic appliances, HVAC systems, furniture, antiques, and textiles. RestorationMaster will work with you and your insurance company handle this procedure for you. However, if you have any questions about our restoration procedures, please refer to our FAQ section.